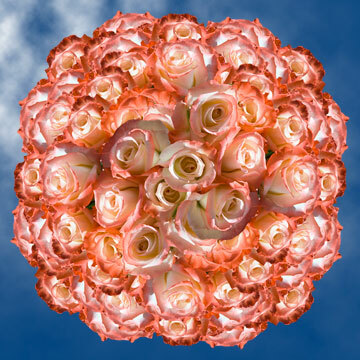 The Alex Rose is known as a elegant and striking bi-color floret. 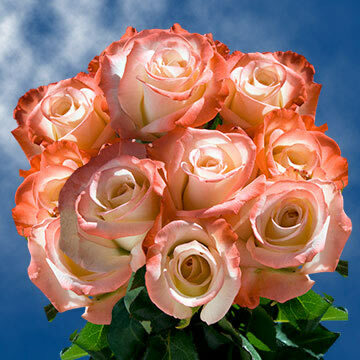 This Cream and Pink Rose is a great mixture of the softness of the cream color with touches of pink on its petals. 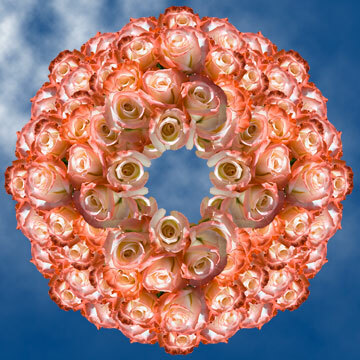 The blooms opens within two to three days into a tradition shape. Please remember that you will received the floret in a closed stage. 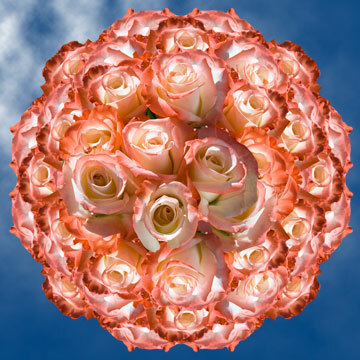 Globalrose.com is the best place to order flowers online for free delivery. From a Sweetest day gift to a summer wedding reception centerpiece or a cheer up bouquet this product can be use in many different ways. All our blossoms are grown in greenhouses, using the latest technology offered, so we can guarantee quality every single day. 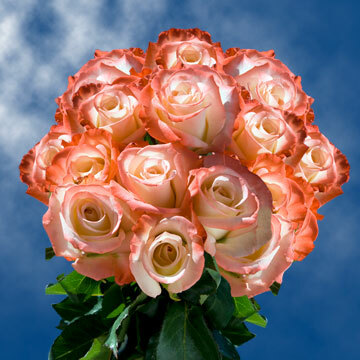 Your Cream and Pink Roses and flowers are shipped absolutely fresh, direct from the greenhouses to you via FedEx. 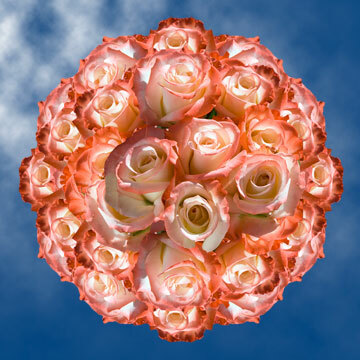 Globalrose sells at prices that are usually lower than most local wholesalers without having to leave the comfort of your house. All our products, are cut specially for you, 3 days before they are delivered to your door.